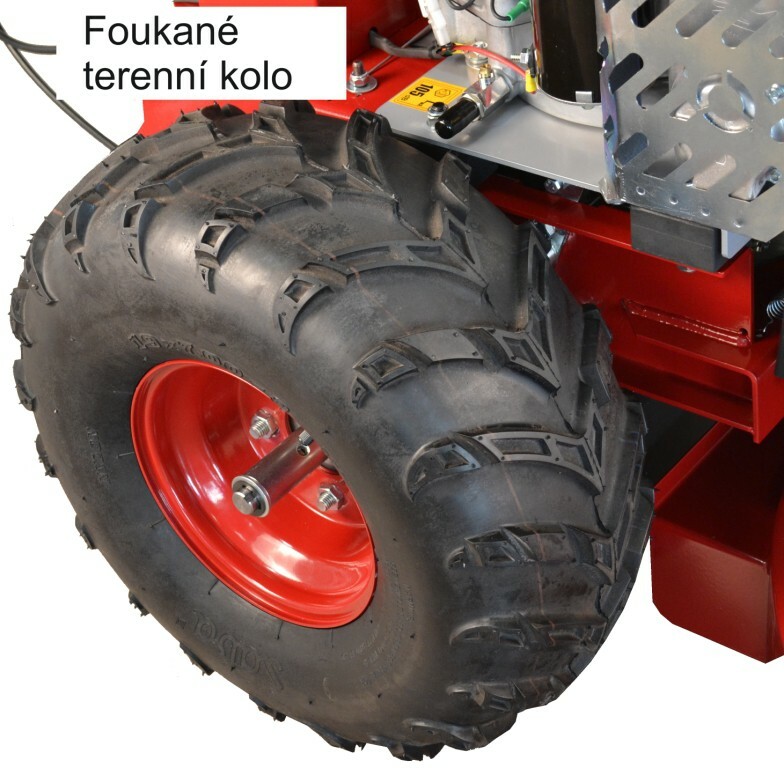 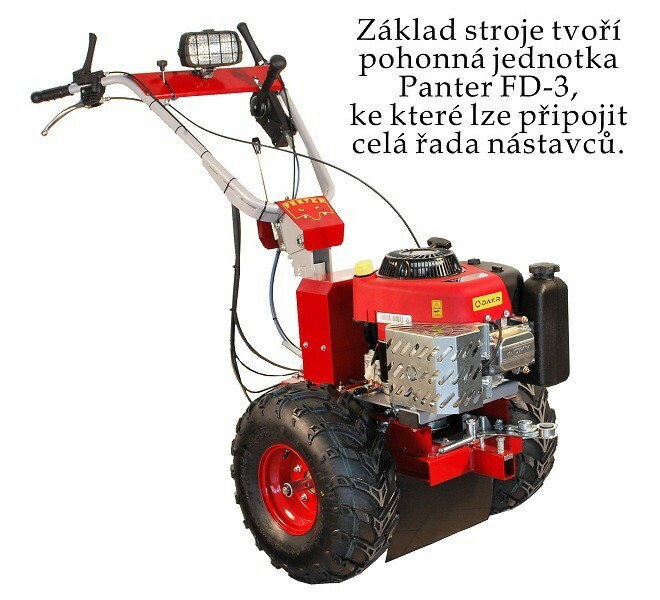 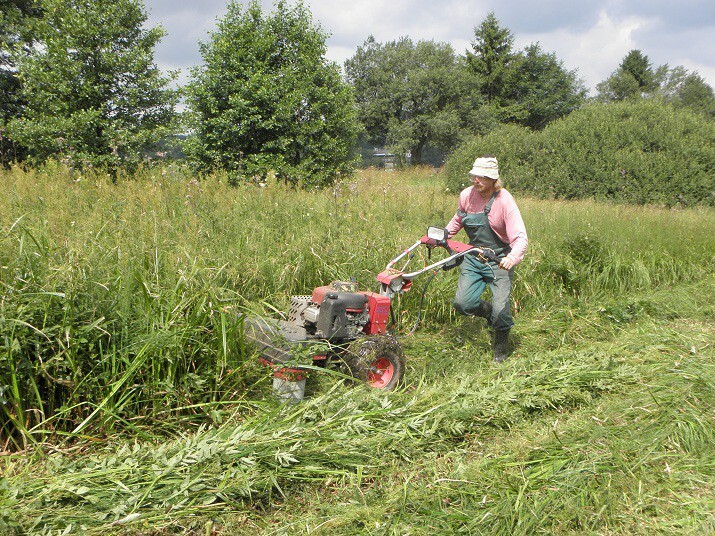 The two-drum mower in connection with Panter FD-3 driving unit constitutes the highest-efficiency combination for mowing of large areas with fields and pastures. 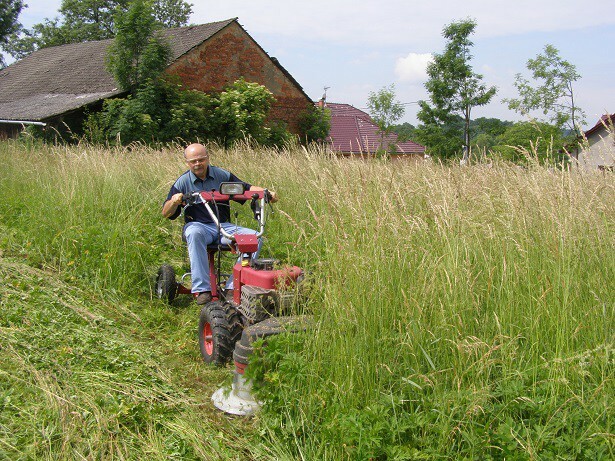 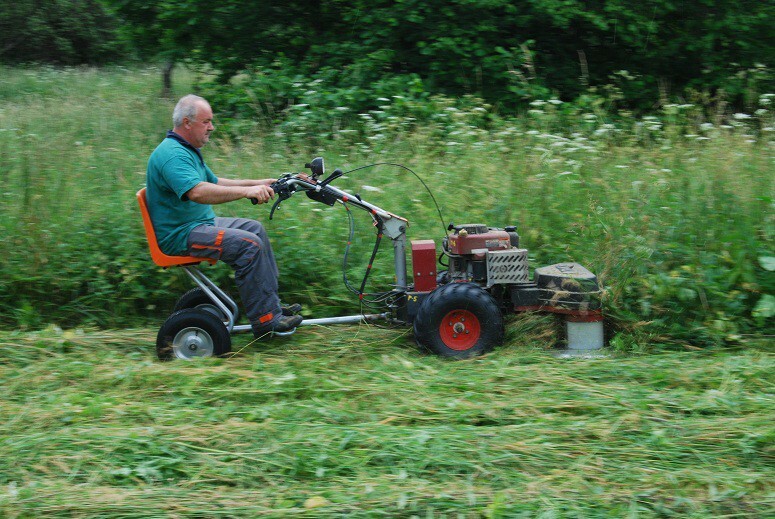 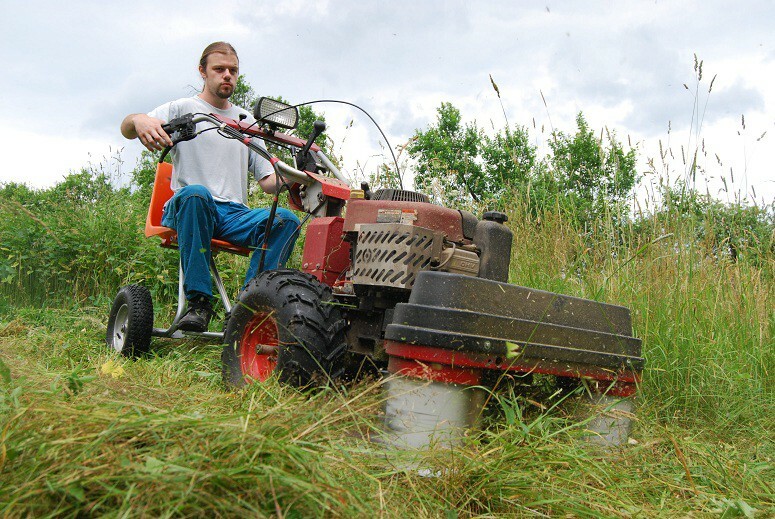 Blades travel overlap and the surface is therefore evenly mowed. 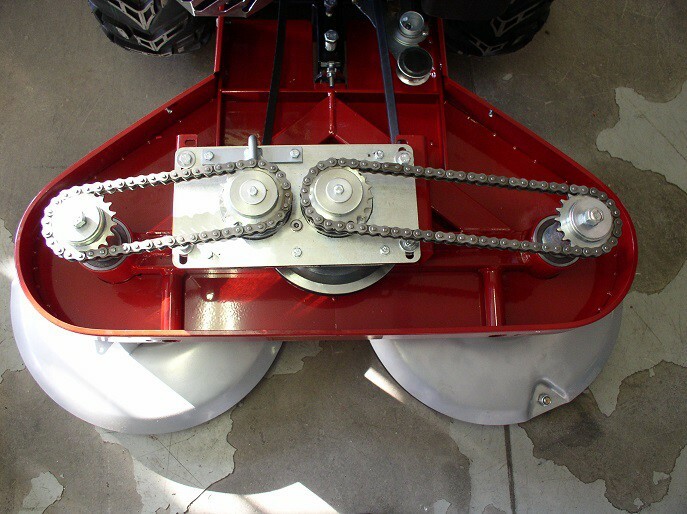 Blades timing is secured by the gearbox and chains. 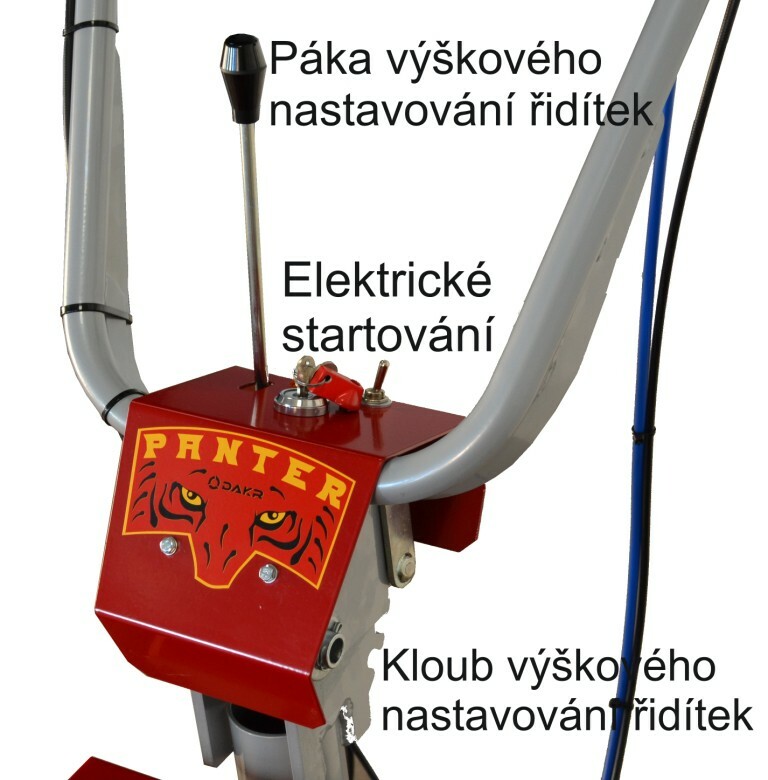 The driving unit has the single slide control of speed forward and backward. 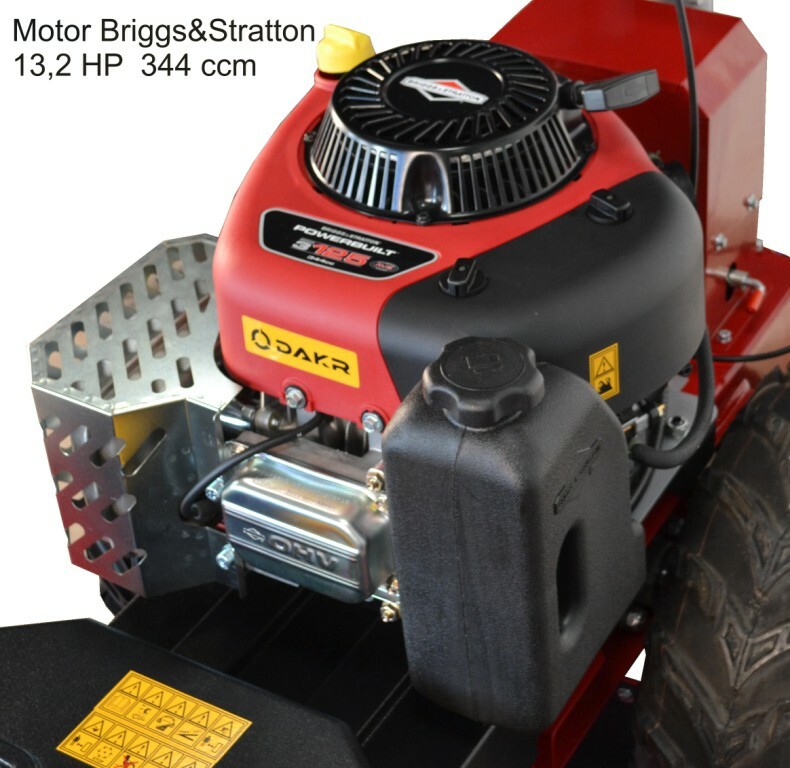 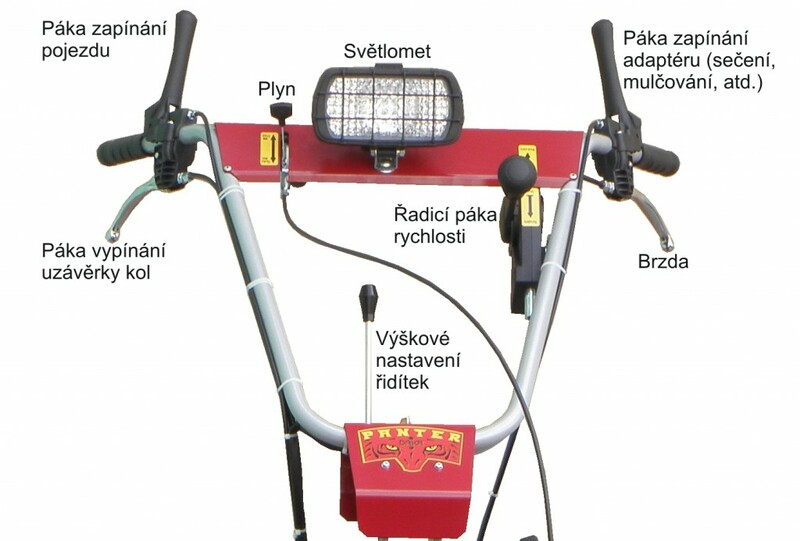 To the driving unit it is possible to connect the seat and the wide range of adaptors such as mulcher, haymaker, snow blower, cart, sweeping brush, blade, rotavator, branch crusher.